Great Real Estate Agents Can Save You Thousands of Dollars! Great real estate agent can save you thousands of dollars on buying a homeWhen buying or selling a home, real estate agents are a crucial resource. They can give information about current availability of properties, their prices, financing, terms and conditions, information about housing market and much more. Many a times the real estate agent can prove to be a vital mediator for buying or selling properties for the best possible price. However, all this might turn out to be futile if one ends up choosing a wrong real estate agent. By choosing a wrong real estate agent, one can end up, with wrong advice or miss out on a good deal. Moreover, one might have to pay huge commission and end up gaining nothing. Choosing a wrong real estate agent can cost thousand of dollars. Every year several complaints are registered for being deceived by real estate agent. With numerous real estate agents, how does one go about choosing the right real estate agent? The first and the most important aspect for this is the emphasis on experience. Always look for a real estate agent who is experienced in this field. You as a customer wouldn’t ever want to risk your money by seeking advice of a novice. Always choose an agent who has an experience of more than two years in this field. It is always good to get recommendations from friends and family members and other acquaintances that have utilized the services of the agent and are satisfied with their work. Always hire a licensed real estate professional. Before working with an agent it is necessary to check their license, as the license provides the customer with a protection, in case something goes wrong. Besides this, it is also necessary to check their credentials as this will help to determine the area of expertise and also indicate certain level of professional commitment. Finally, a thorough interview of the agent is imperative. Customers must clarify each and every doubt during the interview such as fees, commissions, the way the transactions would take place and many more. During the interview the customer can also judge the responsiveness and the commitment of the agent. It is thus seen that choosing a wrong real estate agent in the absence of adequate information can be quite dangerous. There are several people who have fallen in to trouble by doing so. However, if one follows the right kind of tips in choosing an agent, they should avoid all troubles. It is necessary to find a real estate agent who is honest, efficient, competent, and responsive. 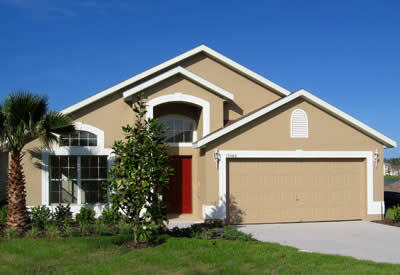 For finding the right real estate agent, log on to the website http://tampa2enjoy.com. Don’t forget to add http://tampa2enjoys.com/blog to your favorites section of your browser. I’ll attempt to always attempt to keep you informed as to the latest and greatest information concerning the Tampa real estate market and beyond. Lance Mohr is your Tampa real estate expert, with over ten years of experience in real estate sales. He holds a real estate broker license in the state of Florida, and as a member of top relocation firms, such as Cendant Mobility, Prudential, Century 21, and others, has assisted countless individuals and corporations with their relocation needs. Lance has been investing in real estate for over 18 years, and he believes that a person's professional knowledge should continue even after college or vocational training. Lance can be reached at 813-317-4009 or lance@lancemohr.com.